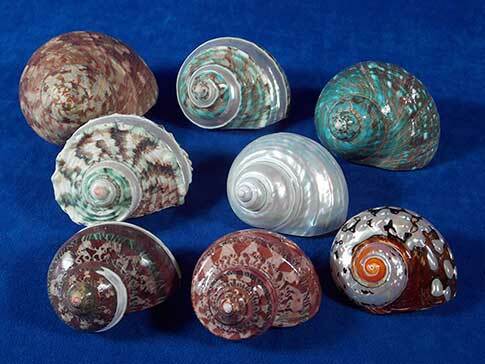 The overall seashell sizes are from 2 ¼" to 3 ¾". Opening sizes graduate from 1 ¼" - 2". Extra large turbo shells are very beautiful. They're great for sea shell collectors or hermit crabs. This collector's set is very impressive.